Does OHIP cover chiropractic care? Due to budgetary cuts, the Ontario Government withdrew chiropractic coverage in December 2004. Other than x-rays, OHIP does NOT cover chiropractic services, registered massage services, nor most physiotherapy services provided by registered physiotherapists in Ontario. Does my Extended Health Insurance Plan cover Chiropractic care? If you have private or group insurance through your employer (each policy is different), chances are that you have coverage for chiropractic services. Please check your policy to determine your coverage. If in doubt, please bring your insurance brochure with you when you come to our office and we will help you determine your coverage. We will help you with filling out the necessary forms for coverage approval. If you are involved in a car accident, you are fully covered for chiropractic treatment. There is no need for a medical referral. Contact our office if you have any questions. We will help you with filling out the necessary form for coverage approval. If you have served in the Armed Forces, you may have coverage through Veterans Affairs. Contact Dr. Pisarek to determine the type of coverage you might have. We will help you with filling out the necessary forms for coverage approval. Limited chiropractic coverage may be available for First Nations Peoples. Contact Dr. Pisarek for more information and rules necessary to obtain this coverage. We will help you with filling out the necessary forms for coverage approval. We ONLY accept work-place injuries as private patients (non-WSIB claims). Please call our office immediately when you experience an injury. Early treatment is essential. We will gladly assist you when completing all insurance forms for coverage approval, and answer any questions you may have regarding your insurance coverage. 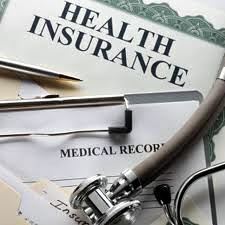 If you do not have health insurance, we can also provide you a reasonable fee payment program. Call Advanced Healthcare at (416) 633-3000 to speak with Dr. Pisarek or click here to send him an email to find out more about health coverage for chiropractic services.